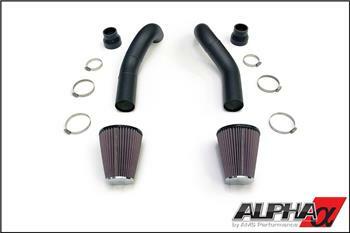 Alpha Performance Induction Kit NISSAN - Dezod Motorsports Inc - Home of the automotive performance enthusiast since 2002. By changing the MAF location and converting our setup to a speed density system we have eliminated the problems associated with running big power on traditional intake pipes. Smoother driveability and a higher peak HP threshold can be achieved while still using a 3” pipe… we have proven well over 1800HP to date. This Speed Density conversion allows for much better measurement of the airflow that is actually entering the engine and allows you to run a BOV that will vent to atmosphere without the consequences of a standard MAF.